Save file to somewhere safe that you can remember! 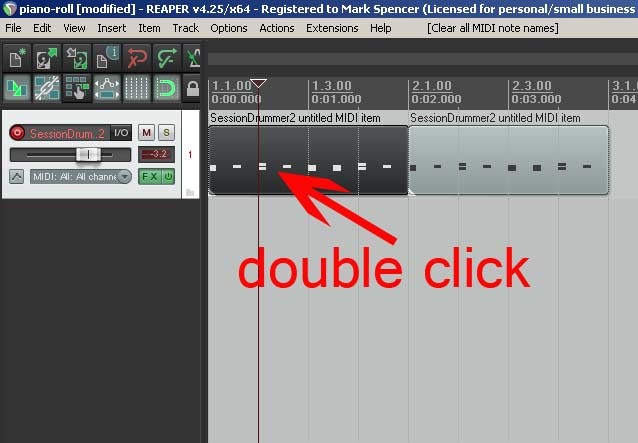 If you’re using reaper to program drums using piano roll you can rename the notes to make it easier to find the kick, snare etc. 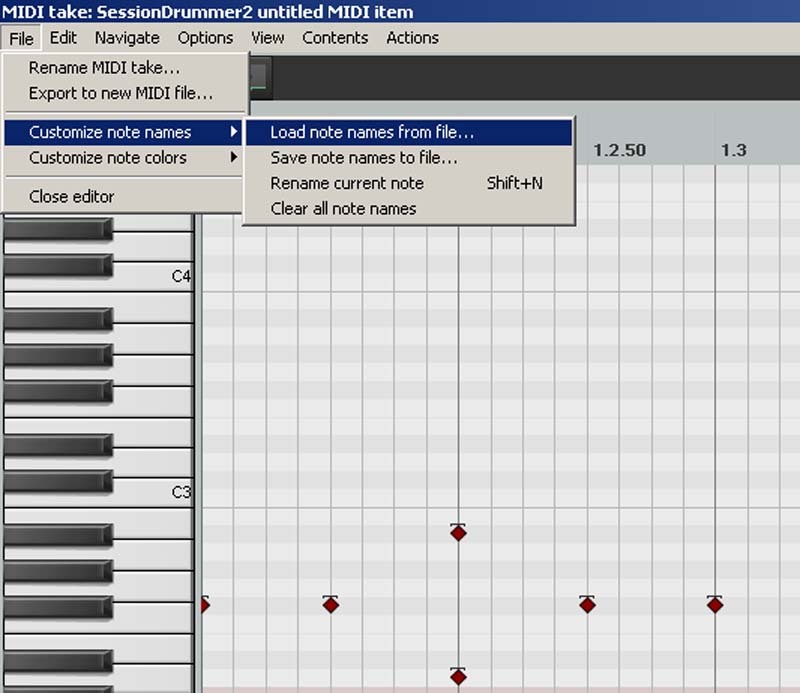 This file is based on the mappings of Cakewalks Session Drummer 2 – it’s a cheap alternative to a lot o drum samplers. 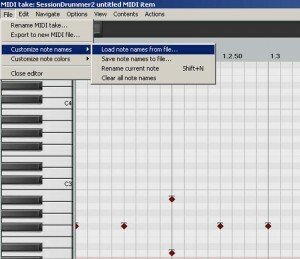 It could probably be adapted to be used with other drum samplers/vst as well. 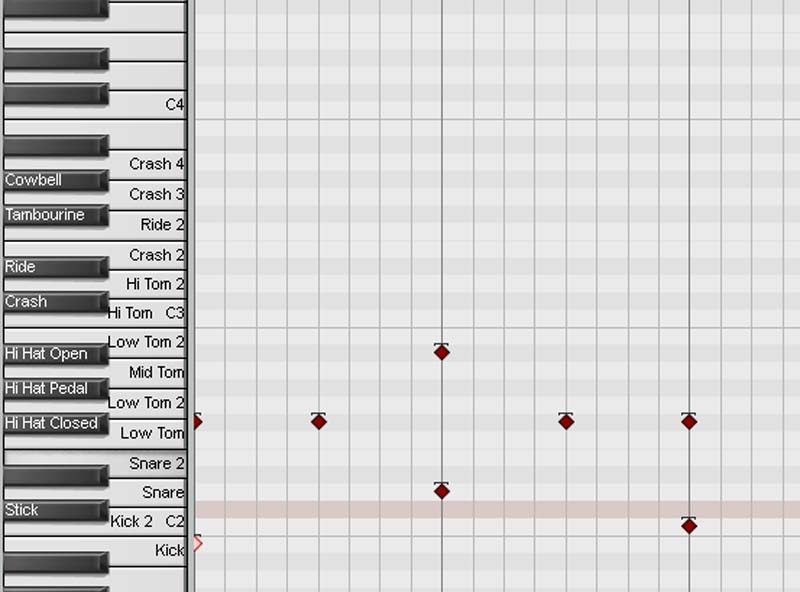 To load you need to go into piano roll. Highlight the midi file see below – double click on midi item. Locate the downloaded file and click it. 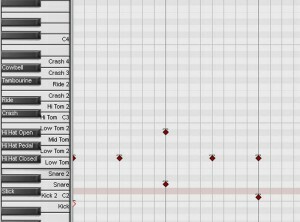 Once loaded the keyboard on the piano roll should now look like the image below.